Hedi Slimane Fashion Diary, Paris June 2008. Via design for mankind. 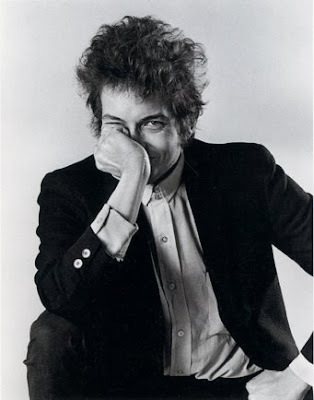 Bob Dylan portrait (1964-1965) by Daniel Kramer. 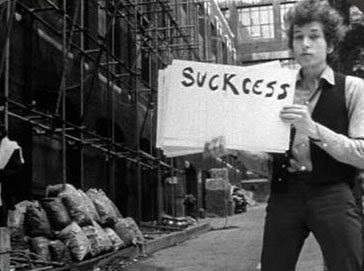 And if you haven't seen Dont Look Back, D. A. Pennebaker's documentary covering Dylan's 1965 concert tour of the UK, rent it now. I'm not generally a big fan of docs, but just being in the room with him - without doing a single interview - Pennebaker captures the spirit of 23-year-old Dylan. awww. i love bob. esp his younger years. i will have to add the movie to our netflix (if it's available), and then we will watch it sometime in 2010... judging by how often we watch movies as of late. I wish Dylan would write a campaign song for Obama!! Love this post- give us more "then & now" stuff!!! now just wait a minute! where the hell did he go??!! To the uninitiated, yes, Bob Dylan is back. To the rest of us, he never left.